All secrets about the most useful chat feature revealed. Complete introduction. Best practices included. 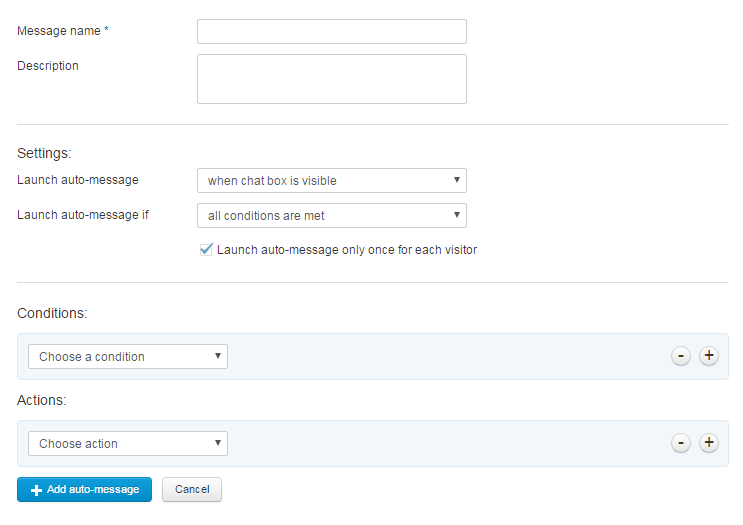 Automated messages (or triggers) is the automated feature helping operators invite visitors into chat conversations. It allows you to engage with your potential customer at the right moment and guide them toward a conversion. Let’s say that your visitor returned to a specific page about guitars on your e-shop. He isn’t sure which guitar he should buy. Let him know that you can help. You don’t have to track every one of your undecided potential customers on your own. A trigger will do all the work for you. When the conditions are met, the trigger is launched. Why you should set up triggers? Visitors can sometimes be shy. They would like to know specific details about your product but they hesitate to ask. Rather than writing to you, they prefer to browse the Internet for more information from other sources. That’s the crucial moment to be proactive and triggers will help you with that. You can create targeted and personalized messages for each scenario. Customers, who use live chat on a website, are 5 times more likely to buy. These visitors are 12 times longer on a website than an average visitor. Moreover they usually spend about 30% more than other customers. The solution is simple. Get more chat conversations. 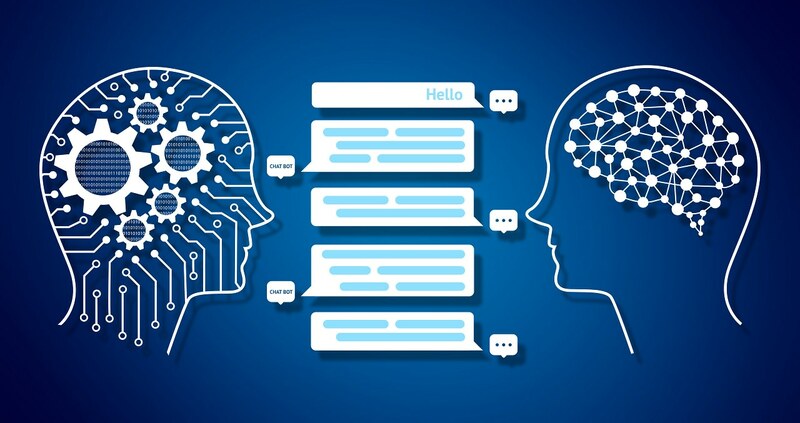 According to Forrester.com an additional investment in proactive chat capabilities will produce an incremental 105% ROI. Help your customers at the right moment increases convenience for your customers. Make it easy for them. Creating a trigger is a simple process. First you have to create a new one. You also have a wide range of conditions you can set up for launching the trigger. A chat invitation can be triggered based on metrics such as visitor’s behavior on your website, geographic location, current page, previous chat conversation and more. Now that you understand how triggers work and how to set them up, let’s take a look at some practical tips for real scenarios. Returning visitors can be more interested in your offer than new visitors. The chance for a successful conversation is therefore higher. You can set up a trigger based on the number of visits, number of visited pages, and time spent on the page. Hello, welcome back! How may I help you today? Sometimes there are too many customers for your operators. It makes sense to tell them that they will have to wait. 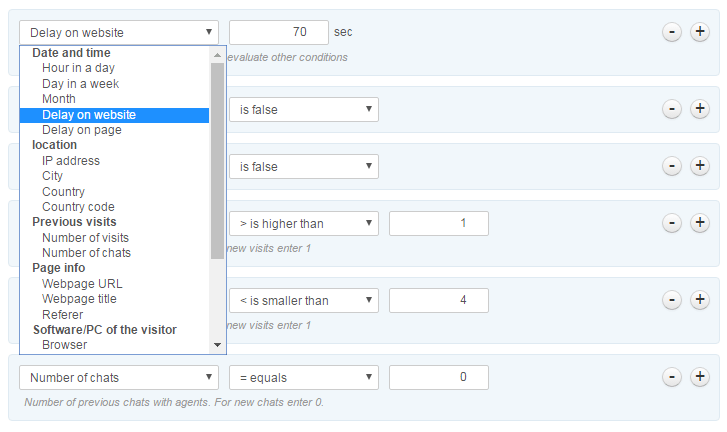 You can set up a trigger based on Opening of chat by customer and Behavior / Customer wasn’t served. Hello. Unfortunately all our operators are busy now. If you can not wait any longer, send us your e-mail and we will write back to you. Thank you for your patience! Your e-shop is targeted on customers from France and Germany. You want to avoid any misunderstanding, and therefore you insist that messages for customers from Germany are in the german language. You can set up each trigger based on Location / State. Moreover you can use the feature “Groups” to lead the visitors from Germany to your german speaking operators automatically. Hallo! Kann ich Ihnen helfen? Let’s say that your customer is buying a guitar, and it is advantageous for him to purchase a bundle with a tuner and a strap. He can save 10 dollars if he buys them together. You will use the URL of the page with the guitar and time spent on the page. Hello there! Here is Lisa. We have a special offer on guitar XY. If you buy this guitar with a tuner and a strap, you can save 10 dollars. May I tell you more about it? Your visitor wants to register for your Premium Musical Club but he’s stuck on the page with a form. You can set up a trigger based on time spent on the page and URL of the page with the form. Hi, my name is Patrick. May I help you with anything? Sometimes the conditions of delivery are unclear or the whole checkout process is too complicated. You can set up a trigger based on time spent on the page and URL of your checkout pages. Hello. Thank you for stopping by our site! Do you need any help in completing the checkout process? As you have already found out, triggers can be a very useful feature for your chat, however less is sometimes more. Let your visitors have time to take a look at your website. Don’t be obtrusive with prepared chat messages at the beginning of their visit. Be careful with the number of your triggers, do not use them for every page of your website. This can be really annoying for your visitors. (Fortunately you can set up a condition that the customer won’t receive the second automatic chat message). Also avoid being too robotic. Customers have to feel like the message is from a real person, not from some automated bot. What else? ABM. Always Be Measuring. What works and what doesn’t? Test and improve your messages and triggers. Your visitors will appreciate your effort.